General Dynamics Land Systems chief technology officer David Crocker has travelled to Australia to strengthen the company’s local subsidiary’s bid for LAND 400 Phase 3. Through a series of meetings with senior Australian Defence Force personnel, Crocker has discussed technological advances across the land domain that deliver enhanced capability for current and future Armoured Fighting Vehicles, and sought further insight on the priorities of the ADF to ensure General Dynamics Land Systems (GDLS) is investing in the technologies that will make a substantial difference to Australian soldiers operating worldwide. 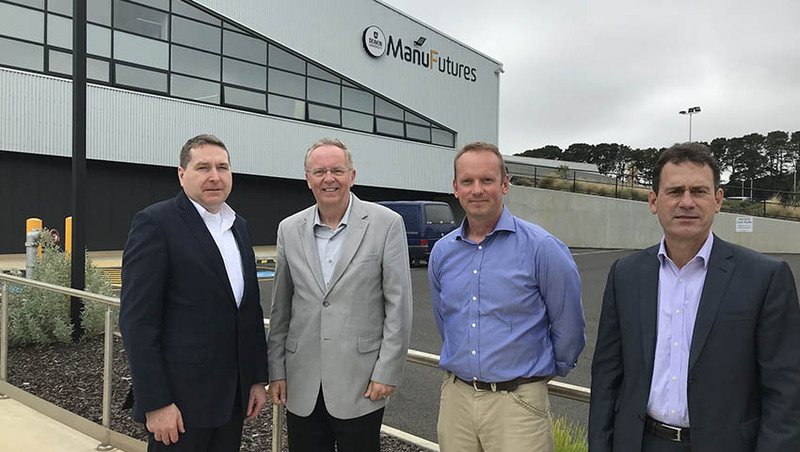 Kevin Connell, vice president and general manager of GDLS–Australia and the Indo-Pacific, said, "I am delighted that Dave has been able to visit Australia to deepen his understanding of Australian Defence Force needs, while also visiting local businesses and academia." In addition, during his visit Crocker has met with a large number of businesses and universities across Australia to see first-hand local advances in material development and manufacturing, amongst others, as well as discussing collaborative research and development opportunities with local businesses and academia. Crocker said, "General Dynamics Land Systems is committed to ensuring we deliver the capability needed by Australian Defence Force. We are determined to work closely with local businesses and universities to deliver that capability. "This is just the first of regular visits to Australia over the coming months, and I look forward to meeting more innovative businesses across the country." Connell reinforced Crocker's comments, saying, "His visit has highlighted the first-rate capabilities across Australia that can help strengthen General Dynamics Land Systems–Australia offerings to the Australian Defence Force, as well as opening up worldwide opportunities for local businesses and academia that are at the forefront of innovative technologies." Crocker also outlined broader opportunities for Australian industry to supply high-end capabilities into GDLS’ global supply chain for programs worldwide. Through its innovation centre, known as 'mc2', Australian industry can access unprecedented levels of collaboration with GDLS engineers, suppliers and academia to develop their products for markets worldwide. This visit comes after the recent announcement that GDLS would present its AJAX family of armoured vehicles for the $10-15 billion LAND 400 Phase program. The AJAX family is recognised worldwide as the very latest generation family of armoured fighting vehicles (AFVs), a fully-digital platform that can be readily adapted to meet the LAND 400 Phase 3 Mounted Close Combat Capability requirement, including the infantry fighting vehicle (IFV). This AJAX IFV will incorporate, among other leading technologies, a modern GDLS-designed 30mm turret. GDLS is a global defence company that delivers innovative wheeled and tracked platform solutions, systems integration services, upgrades, fleet management, through-life support, maintenance, repair and overhaul worldwide. GDLS–Australia maintains local technical capability and expertise with global reach-back. This capability enables a systems approach to all its projects to ensure that equipment capability and growth is fully considered through its life cycle, and brings multinational customer combat experience to bear on product solutions.